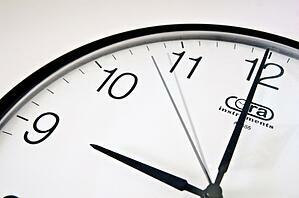 When it comes to collecting payments for orthopedic services rendered, time is the enemy. As time passes, the likelihood for reimbursement decreases. What can a practice do to ensure the collection of payments? One solution which will increase the likelihood of being reimbursed is upfront collection of payments. It may be difficult for staff or physicians to present this requirement of upfront payment if it hasn't been a rule in the past. Regardless, this policy will go a long way toward ensuring a healthy financial future for the practice. While compassion for patients is commendable - and in fact is a reason for working within the healthcare industry - a practice without money will be of service to no one. Keep in mind as well that coordination of efforts toward collecting the payment later on will cost more. In effect, your practice will be losing even more money on top of lost revenue. The key to this strategy is employing practices and software that can accurately determine eligibility and estimate the balance that the patient will be responsible for. Asking for the co-pay and co-insurance upfront is standard but is not always enforced. Collection the remaining patient balance is not always asked for upfront but if introduced and implemented correctly can be a way to increase the success of collection activities and the overall cost to collect. Establishing a policy among staff for handling payment collections will take a little work upfront but will pay off in the long run. There are various methods by which to approach this. Verify insurance 24-48 hours prior to a patient's office visit, either manually or electronically. This takes time and a level of understanding in regards to the process of navigating various payers and their policies. For example, some payers will provide co-pay information in an electronic eligibility response while others may not. In addition to this, there are circumstances in which a co-pay collection will vary based upon the level of service being provided. In these instances, the staff member will then have to refer to the payer website or place a phone call to the company. Be sure staff is trained to ask patients whether any new insurance policies are in place, rather than relying on patients to keep you informed. Secondary or tertiary insurance plans may pick up any additional co-pay left after the primary insurance has been applied, but electronic eligibility responses won't report a patient's additional insurance plans. It's also key that policies be loaded in the correct filing order so as to avoid denials when a claim goes to the wrong payer first. Staff must also be aware of rules regarding coordination of benefits so they know how to navigate multiple payer situations. The reason for a visit must be documented at the time the appointment is made so as to correctly verify the co-payment. For example, a routine physical may be fully covered under a patient's policy and not require a co-pay. Staff members must know how to verify a visit in order for the correct payment to be charged. All things considered, your practice may want to consider collecting co-payments at the end of the visit, in the event that the scope of the visit changed due to an unforeseen issue being addressed while the doctor was with the patient. In the end, what's most important is to remember that your healthcare practice is a business. It is impossible for a business to run smoothly, if at all, without a steady revenue stream. Lost revenue will only result in cutbacks throughout the practice which will eventually effect the level of care available to patients, and it's critical that patients are made aware of this. Keeping a non-negotiable upfront collection policy in place is the only way to be sure that your practice will collect the money it's owed - or else time will pass and with it, the chance for reimbursement.